Blog The Top 4 Reasons Why Slate is Great! The Top 4 Reasons Why Slate is Great! Are you looking for quality material for your roof that can last a lifetime? Something that will provide superior durability that will add a distinctive appeal to the look of your home? Then you should consider investing in slate as your next roofing material. For centuries, slate has been unrivaled in its natural beauty and unmatchable durability. Here are our top four reasons why we think slate is a great roofing material! It’s no question that slate is insanely durable. It can withstand harsh weather such as rough winds, heavy rain, and scorching heat. Literally scorching since it is fireproof! This is a great safety aspect from air borne fires caused by sparks, fireworks, or fires from adjacent houses. Slate tiles are 100% fireproof and one of the few building materials that have this impressive quality. Many homeowners are drawn to slate because of its natural beauty. Slate has a very classy and celebrated appearance. It looks polished and perfected when installed correctly. Moreover, many homeowners don’t realize the wide range of choices they have with this material. It can come in range of sizes, thickness, and colors. You can select from gray, green, purple, black, red, and tiles that sport several colors mixed together. You want a roof that is going to last. After all, it’s what protects you from the outside world in the first place. 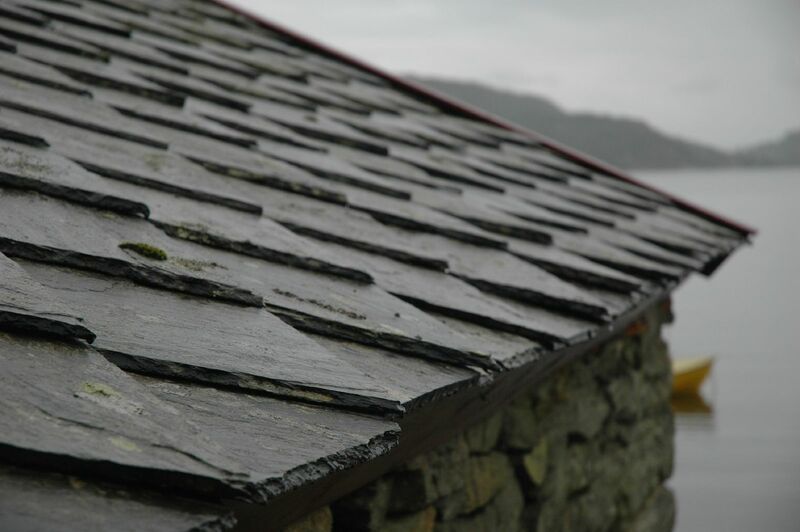 Slate roofing can last for well over a century. The average lifetime expectancy can be as long as 150 years if the roof is constructed correctly. That’s a huge advantage in an industry where roofs and material can expect to last 20 to 30 years. Which means more money in your pockets and a lifetime of quality assurance. Did you know that roof waste accounts for 5% of the total waste in landfills around the world each year? This is partly attributed to roofing replacements that occur for many homes every 20 or 30 years. Many of these homes use cheaper materials like asphalt roofing. Because of slate’s longer lifetime you can easily see a drastic reduction in overall waste that would occur each year if everyone chose quality material like this one.